While many of the devices used by people with disabilities today are advanced, digital or modern, assistive technology has been around for thousands of years! The oldest AT device discovered is “The Cairo Toe”, a carved wooden toe found on the foot of a mummy in 2000 in a tomb near the ancient city of Thebes. Some scientists and archaeologists have speculated that the 50- to 60-year-old woman the prosthesis came from may have lost her toe due to complications from diabetes. (Click here to read more.) Ingenuity is one of the greatest traits we as humans possess, and as they say, “Necessity is the mother of invention”! Inclusion and accessibility are necessities for all of us, so it’s no wonder that we continue to advance in the realm of assistive technology. Here at NWGA Center for Independent Living we have partnered with Tools for Life (TFL) to bring our community a wide variety of assistive devices for demonstration at our center. 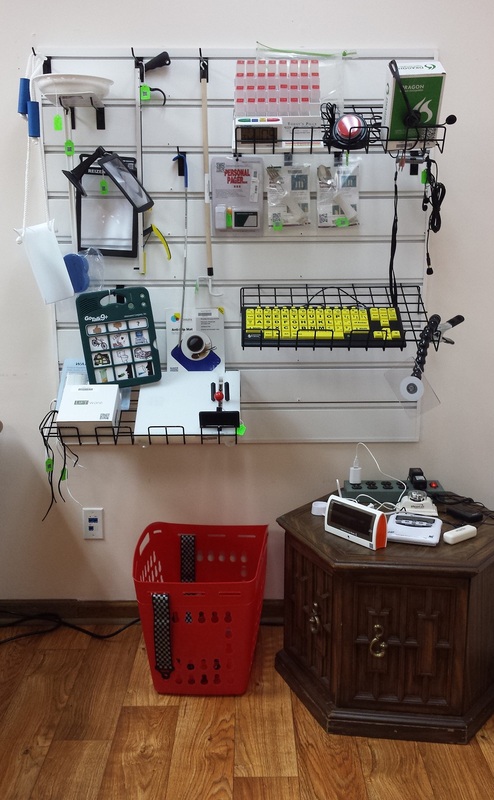 We have over 20 assistive devices to fit a variety of needs and disabilities. Our staff is trained with the use of these items, and we are able to demonstrate how to use them to our consumers and their caregivers. While we do not loan or give out any of these AT devices, we are more than happy to educate you on how to use them, discuss approximate pricing and point you in the right direction to acquire these items. Please use the menu above to navigate through this section of our site. You will find a page with pictures, names and descriptions of our AT device inventory, as well as a page suggesting mobile device applications for accessibility, assistance and enrichment. If you have any questions or would like a demonstration of any of our AT devices, please contact Kathy Baker at 706-314-0008 or at kbaker@nwgacil.org.